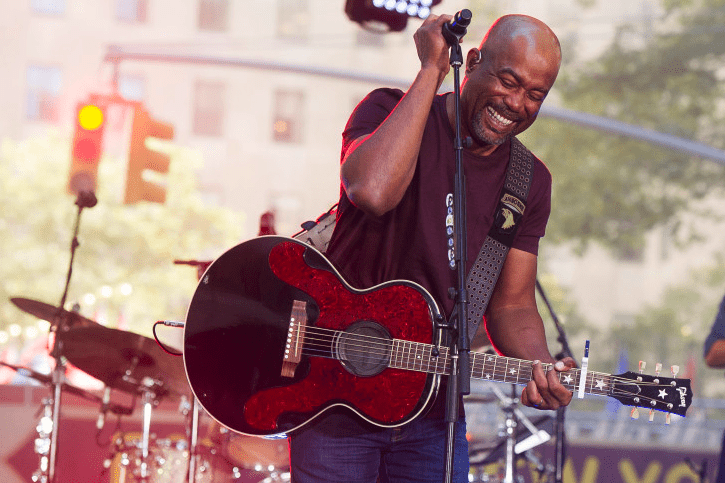 Darius Rucker first came onto the music scene in the mid-1980s as the lead singer of Hootie and the Blowfish. 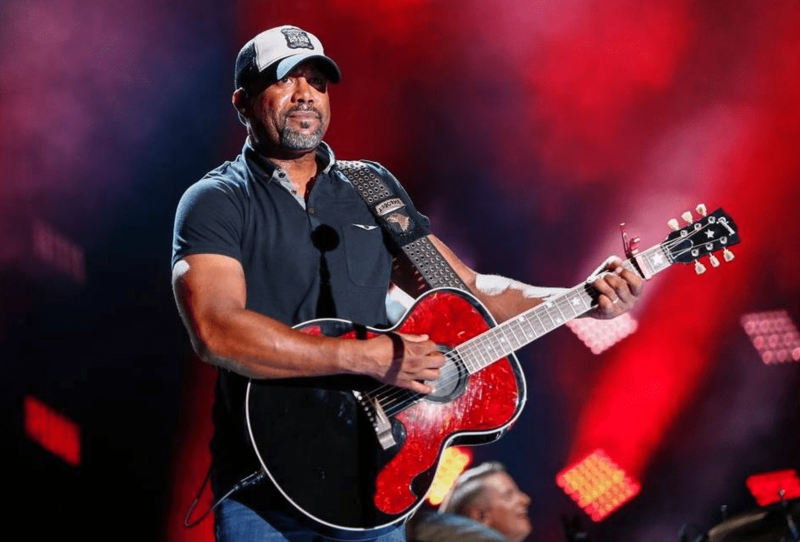 In recent years, he’s seen plenty of success as a solo artist, becoming one of the most recognizable names in country music. 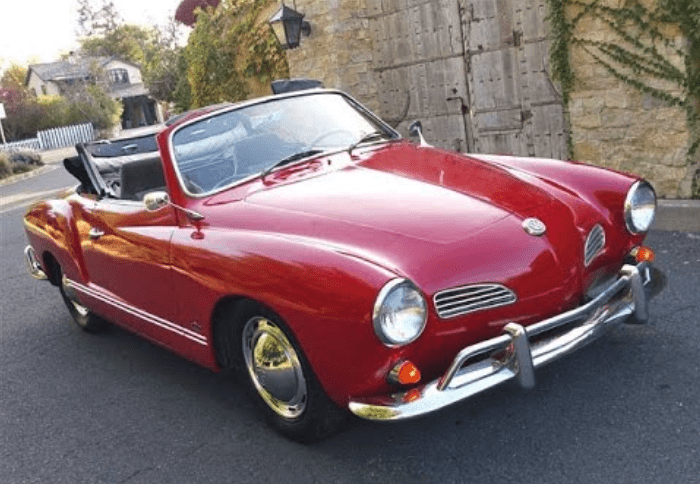 Join us as we take a look at Rucker’s favorite ride, his 1964 Volkswagen Karmann Ghia. Since learning to drive in 1978, the country sensation has gotten his hands on several different vehicles. Out of all the cars he’s driven over the years, his Karmann Ghia will always be his favorite. “A Karmann Ghia has always been my dream car. Ever since I was a kid, I just thought they were the coolest things in the world. When my second single went to number one, my manager found one and had it redone and gave it to me and I just love that automobile,” explains Rucker. 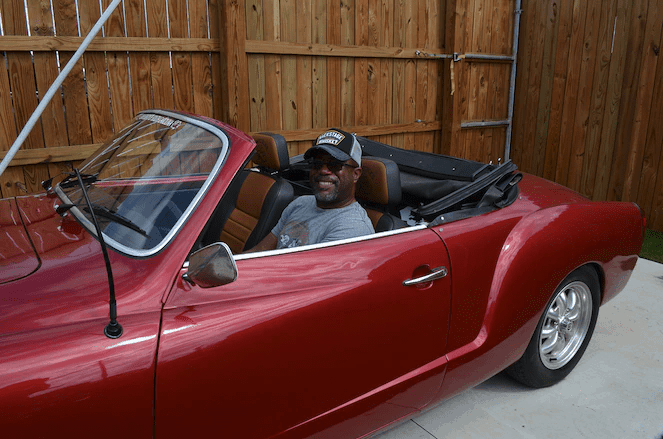 One of the big reasons why Rucker loves this car so much is that it reminds him of when he first emerged on the country music scene with his album, Learn To Live. 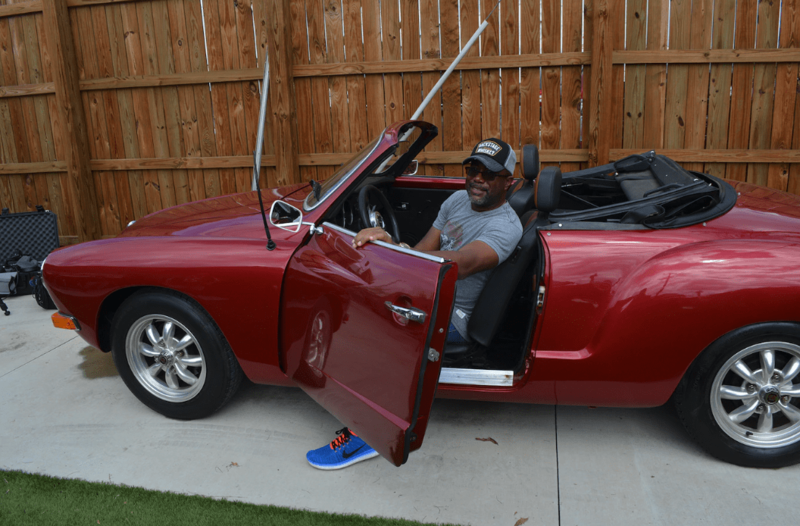 After his single “It Won’t Be Like This for Long” hit number one on the charts, Rucker’s manager got him the fancy sports car as a gift. “[My manager] had ‘Alright’ on the license tag, and that was pretty cool. I still have that on the front of the car. It’s a beautiful machine,” says the Grammy-winner. On a scale of 1-10, the country superstar gives his Karmann Ghia a nine. “I had some back seats put in it, but I never put anybody back there. It’s always just me and maybe somebody else. Usually, I drive it by myself. It’s my go out and chill and relax and have a good time car. When I’m in it, I feel 23. I don’t know why,” says Rucker.